Ok, if you have not heard of The Pioneer Woman, you need to rush right over and check out her blog: http://thepioneerwoman.com/. She is an excellent writer about every day life on a ranch in Oklahoma, a great cook and fantastic photographer! There is something for everyone on her website! Anyways, I’ve been trying out a lot of her recipes lately and all have been soooo yummy! Then last week when it was cold and snowy outside, I decided to try her homemade cinnamon rolls. Her pictures of them made my mouth water, so I said, “What the heck, let’s give them a try!” I made my husband pick up a few ingredients that I needed while he was in town picking up some mineral for the cows and then I got to work. The recipe says that it makes seven pie pans of rolls and she suggests using the the throw-away foil pans, but I decided to pull out every and any small pan that I had instead. I came up with two 8×8 pans, one rectangle pan, one pie pan and two spring form pans. Now those of you who do a lot of baking and use spring form pans, you probably know right away why I had an oven fire. But for the rest of you, keep reading! I followed the recipe exactly. Had the butter oozing out onto the counter and everything! They looked so good! I placed them in all of my buttered pans and let them raise for a bit. Then I started to bake the first three pans–the two spring form ones and the pie pan. They only needed to bake for about 15 minutes, so I decided to start on the dishes, since I had a sink full! About six minutes into the baking process, I started to smell something burning. I opened the oven door and peeked in and the butter was running out of the bottom of the spring form pans and making the oven smoke! I quickly shut the door and opened the kitchen window (It was negative temps outside, but I need some fresh air!). I quickly got HD into the living room and threw up the baby gate to keep him there and got back to the smoking oven. When I opened the oven door this time, there was a fire in the bottom of the oven! I quickly grabbed the three pans of rolls and set them on the stove and shut the oven off. The fire went out right away, but it still had my heart a pounding!!! I then ran around to all of the windows in our house and opened them wide. The smoke was pretty thick in there! But none of this even fazed HD! So, as I let the oven cool off a bit before I started scrapping out the burnt butter, I needed to get the rolls that were half baked in the two spring form pans into something else. I decided to put them in these two disposable Gladware plastic pans. The bottoms of them said that I could bake up to 400 degrees with them, so at 375 I thought I would be safe. I carefully scrapped out the half baked rolls and placed them in the plastic pans. This was not an easy task since they were nice and soft and gooey, but I got them transferred. I then proceeded to carefully scrap out all the burnt butter ashes so they wouldn’t catch on fire again and got the oven back up and running. As soon as it was heated up, I placed those three pans of cinnamon rolls back into the oven and finished baking them. Then baked the other three pans. As soon as they came out of the oven I poured the icing over top of them. I couldn’t wait to try them! By this time, my husband was home, the windows were all shut, the smoke had disappeared and we dug into the first pan (one of the Gladware ones). I was very disappointed. There were really hard on the bottom! Both of the Gladware pans baked differently since they are plastic and since all the butter ran out of the spring form pans, they basically just got burnt on the bottoms. But the rest of them turned out great! Four out of six pans were soooo yummy! We ate one and put the others in the freezer for a later date! Can’t wait! I highly recommend this recipe, but maybe go out and buy the disposable foil pans so everything bakes evenly and nothing runs out of the bottom, unless you happen to have seven 8×8 pans at home (which most normal bakers probably don’t) or you could make bigger pans of them too! 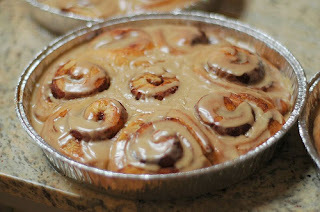 Here is the link to The Pioneer Woman’s Cinnamon Roll recipe: http://thepioneerwoman.com/cooking/2007/06/cinammon_rolls_/. Good luck and enjoy! Great to see your blog. I love PW! She is such a fantastic writer! I seriously thought about getting her cookbook for Christmas for myself. Jim said he’s seen it and it seemed to be a good basic cookbook. I saw her on Today making these rolls in December. She decided that cinnamon rolls were the reason everyone loved her mother so much! Jill and I really want to try her toffee recipe, just been too busy! We got the latest Home mag this week. Jill noted that Kevin had a nice photo in there. It looked great as usual. Give HD a hug from us. We hope to be down the first weekend in March to celebrate his birthday. 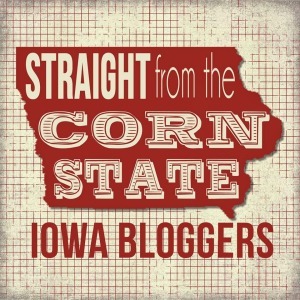 Happened upon your blog via IA Farmer Today. 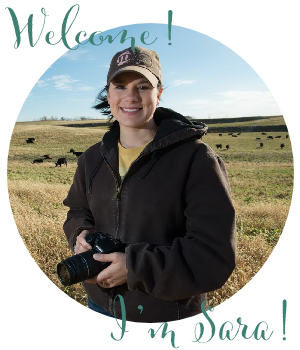 I’m a farmer’s daughter & with my husband feed out cattle while he farms with his father, as well as works for the construction part of a large pig production co. I’m sure you’ve heard of. I, too love the PW. Just started her love story, “Black Heels to Tractor Wheels” great book! Would you mind if I add your blog to my blog list at theluikens.blogspot.com?